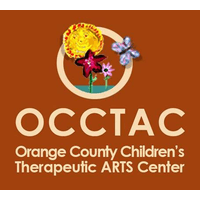 The Orange County Children’s Therapeutic Arts Center, OCCTAC, located in the city of Santa Ana California is looking for teaching artists to fulfill a part-time position in our music department in the guitar department. We are looking for musicians with experience in working with children to teach VAPA standards. • Nurture and maintain professional and positive relationships with t staff. • Strong classroom management skills is key. • Be accountable for paperwork as required by program administration. • Organize all materials for each lesson ahead of time and transport all materials to and from the center. • Demonstrate a high level of emotional intelligence when communicating with both students and adults. • To attend monthly Professional Development sessions. • Adjust lesson plans to serve different learning abilities. • Ability to work collaboratively and cooperatively within a team as well as independently. • Maintain a positive ‘can do’ attitude; be proactive, flexible, and show initiative with projects, planning, and all activities related to this position. • Hold a Bachelor’s degree in music education, performance or equivalent degree and has experience teaching music in their expertise. • based curriculum to children in a structured learning environment (K• 5 especially). • Demonstrate excellent written and oral communication skills in English. • Be comfortable using basic office computer programs such as Microsoft Word, Excel, Google Docs, and Apps. • Spanish speaker is a plus. • Must be able to pass a LiveScan and provide results from a TB test. • 2 years minimum experience in teaching guitar to children. Must be able to instruct in a group setting and private setting with a range of beginning to early advanced students and ensemble work as well. • Familiarity with the VAPA and Common Core Standards for education. • Experience working with at-risk and underserved youth. • Work well with public and staff• have a commitment to diversity and proven ability to work effectively with persons of diverse backgrounds.• Have a current California Driver’s license. • Be able to effectively manage multiple complex functions and achieve goals and objectives. • Be able to work independently, under pressure and handle multiple projects simultaneously. • Ability to work independently and complete assigned tasks within identified timeframes. • Positive attitude, flexibility and problem solving mentality. Job Categories: Music. Job Types: Contract. Job Tags: arts center, education, music, teaching, and teaching artist. States: California. Job listing expires in 76 days.